Yesterday, I showed you how your Google app engine application can send a mail whenever an error occurs (an uncaught Exception for example). 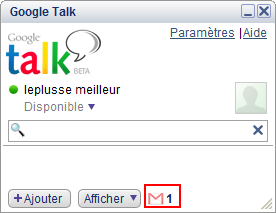 Today we are going to see how to monitor your application in real-time using Google talk. 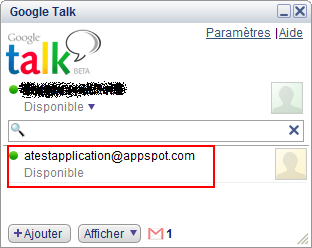 But that’s not enough: we want the GAE application to send a “google talk message” each time an error occurs. This can easily be done using the XMPP service. In the code sample above, “theadmin@gmail.com” is the email of an administrator of the GAE application: replace it with yours ! Thanks, this is really useful. Makes Google Talk a little more useful.